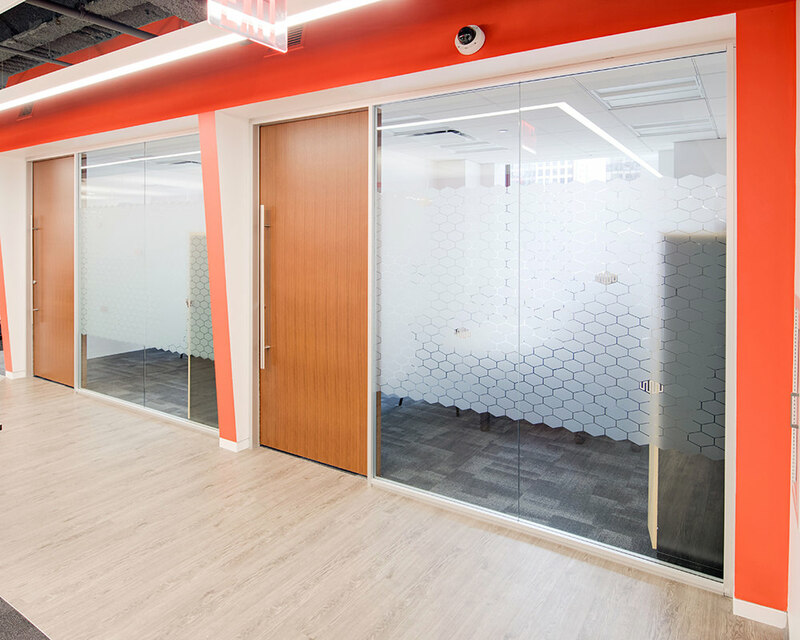 When designing the New York offices for the this global internet data company, Interior Architects turned to Sky Walls for its combination of quality, performance and aesthetics. 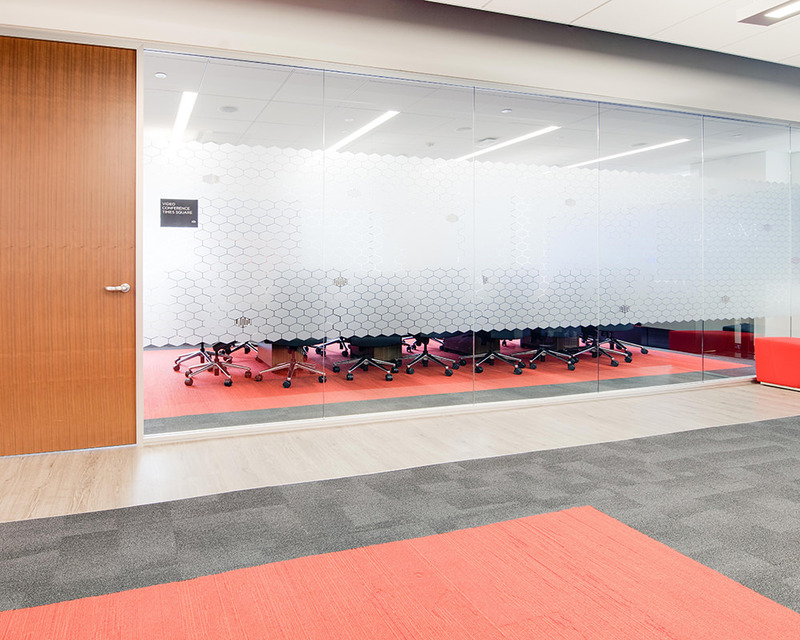 Our Aurora Series was selected to provide the right fit with the dramatic combinations of finishes, textures and colors of the space. Aurora’s shadow reveal helps to accentuate the angled lines where our system meets other finishes. 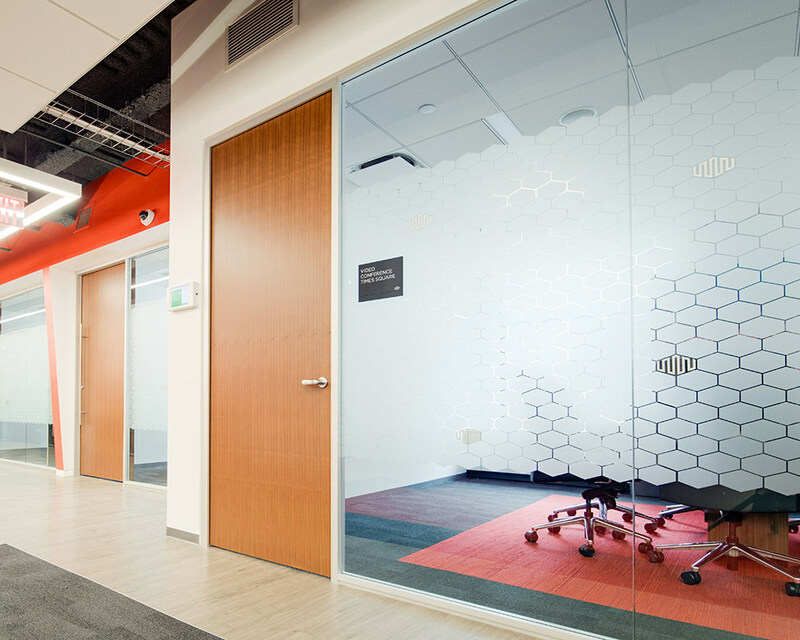 The company’s logo shape is carried throughout the space in assorted glass film patterns, which provide varying levels of visual privacy. 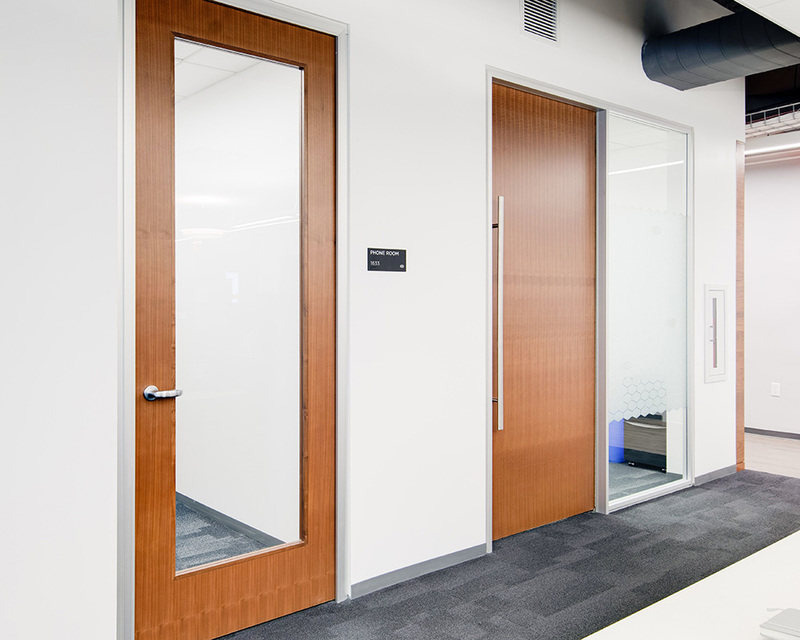 Richly veneered wood doors, in both swinging and sliding configurations, provide both warmth and acoustic privacy. 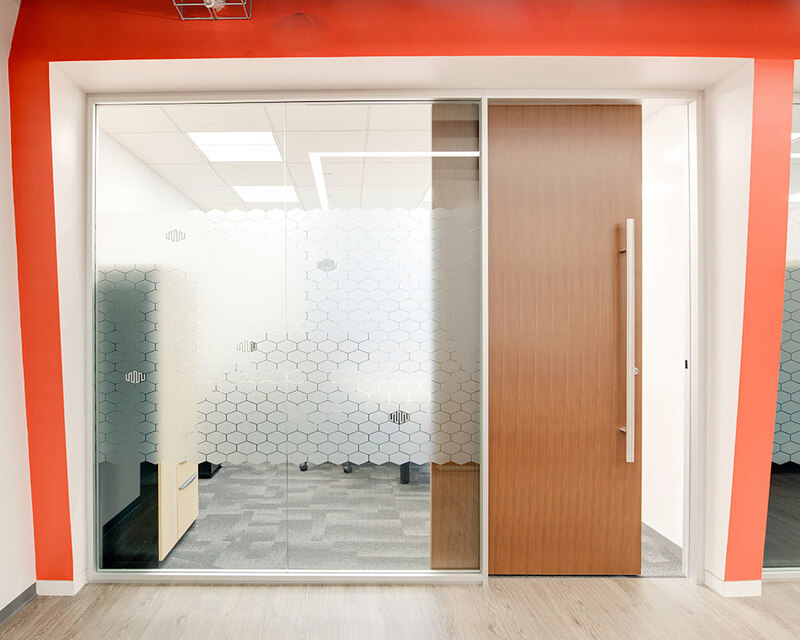 The construction schedule for this space was particularly tight, however, the Sky Walls’ team engineered, provided and installed our system with time to spare.